To this day, it’s difficult to resist the wonder and charm that Steven Spielberg’s “Jurassic Park” (1993) instilled in moviegoers more than two decades ago. Perhaps it’s the concept, John Williams’ iconic score, the characters or the pure spectacle of seeing dinosaurs on the big screen that’s kept the spirit of the film alive. Whatever the reason, “Jurassic Park” still has a following of fans more loyal than some modern-day blockbusters. This loyalty was proven with the release of 2015’s “Jurassic World,” a film that fans quickly made one of the five highest-grossing movies of all time. 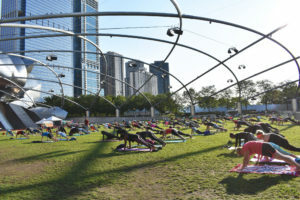 Clearly, people can’t get enough of the jaw-dropping world, and The Field Museum saw this as an opportunity to educate its visitors on the history behind the movies. Home to one of the largest dinosaur fossil collections in the world and Sue the T-Rex, the most complete dinosaur ever found, The Field Museum’s team is always looking for new ways to get visitors excited about prehistoric history. Presented in the vein of a Universal Studios theme park attraction, The Field Museum’s “Jurassic World” exhibit is an immersive, stimulating and educational experience. Jaclyn Johnston, public relations and community awareness director for the museum, specifically noted the emotional impact the exhibit will have on “Jurassic Park” fans. 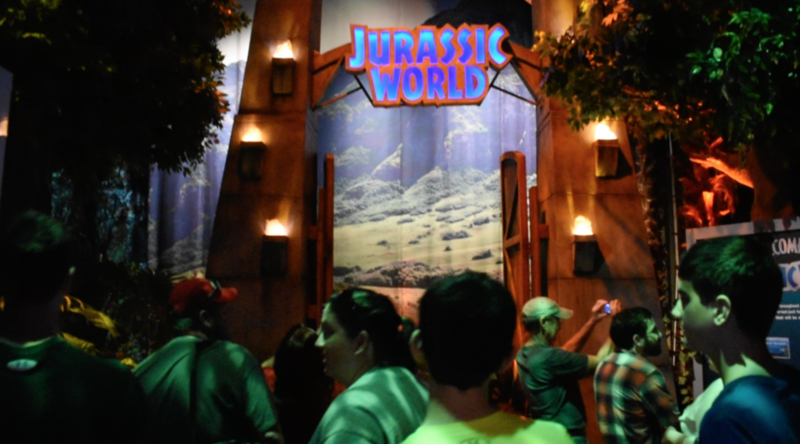 Guests will be met the “Jurassic Park’s” iconic theme as they enter the exhibit. She said the exhibit models itself after the unique theme park feeling, with guests getting the opportunity to walk through the iconic, entrance doors from the films and straight into a dimly-lit forest. “You’re treated as if you’re a VIP on your way to the island,” Johnston said. With a production design on par with any of the major theme parks, the dinosaurs in the “Jurassic World” exhibit are so large that The Field Museum had to build an outdoor tent for the first time in its history to house the towering beasts. The production of the exhibit is impressive. During the 45 minutes it takes to walk through it, the sense of being transported to someplace foreign is noticeably strong. It’s easy to forget you’re in the middle of Chicago when you’re surrounded by an enormous T-Rex and Triceratops. Guests can see a wide array of dinosaurs at the exhibit, from the Triceratops and Brontosaurus to the monstrous T-Rex. Not only is the exhibit visually spectacular, it’s also educational. Between dinosaur viewings, there are areas modeled after the science labs from the “Jurassic Park” films. Fake mosquitos trapped in amber hang on the walls, casting a yellow glow, and real dinosaur bones rest behind glass. Visitors are even given the opportunity to “create their own dinosaur” with an interactive touch-screen in one of the labs. 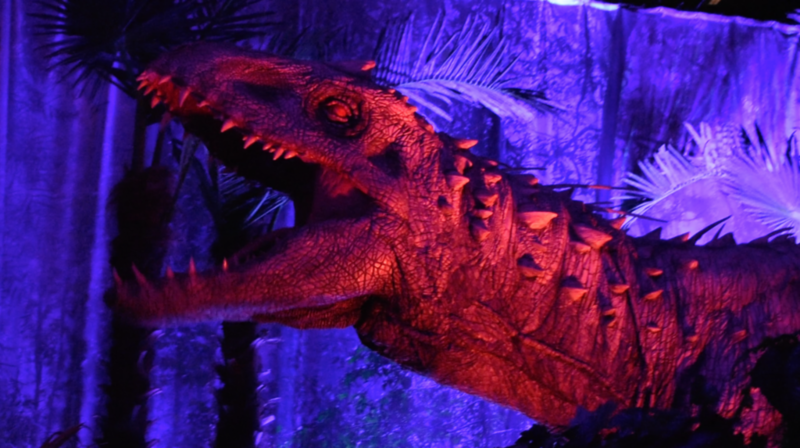 This balance between recapturing the films’ movie-magic and grounding the experience in real history is the true purpose of the “Jurassic World” exhibit. Johnston said she and The Field Museum team see the exhibit as equal parts exciting and educational. Tickets for “Jurassic World” can be purchased in addition to the general museum entrance fee and are $19 for students with a valid student ID and $25 for non-students. The exhibit also features “late nights” on Thursdays, Fridays and Saturdays when it’s open until 9 p.m. — past the museum’s usual closing time of 5 p.m. The Field Museum’s “Jurassic World” exhibit is open through Jan. 7 and should be on all students’ radars this semester.